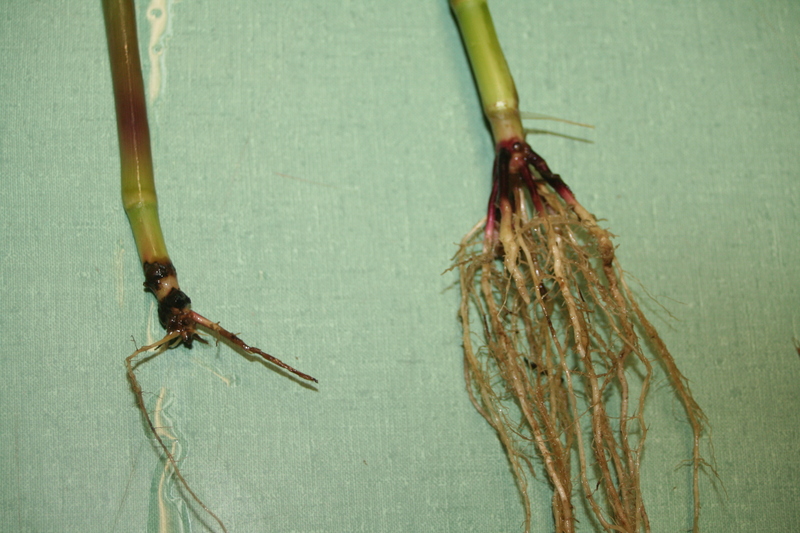 Western Corn Rootworm, Diabrotica virgifera virgifera, germline transformation. Diabrotica virgifera virgifer. The Western Corn Rootworm. Chu and colleagues in a recently published paper in Insect Molecular Biology describe their successful efforts to deploy transposon-based technologies in the economically important beetle, Diabrotica virgifera virgifera, and it is an interesting case study in how to develop genetic tools for ‘non-model’ insects. The western corn rootworm (WCR) is a major pest of maize and has been the target of early-phase efforts to use in planta expression of dsRNA against herbivorous pests. It is a species whose biology and genetics is of great interest and the availability of contemporary insect genetic technologies could enable deeper exploration of the biology of this insect. Chu et al. used a Minos vector that contained a DsRed genetic marker as well as the transposase coding region of the piggyBac transposon under the control of the hsp70 promoter of Drosophila melanogaster in their initial efforts to transform WCR. The strategy of these investigators was to create lines of beetles with germline expression of piggyBac transposase so that transgenics could be generated subsequently from embryos injected with only a piggyBac vector, and hopefully with enhanced efficiency. While Chu et al. were clearly successful in their efforts, their path to success was not an easy one and their struggles are a general illustration of what is required to deploy genetic technologies using preblastoderm embyro injection of protein-, RNA- and DNA-based technologies. As described by the authors their first substantial challenge was to establish a rearing protocol that enabled the production of adequate numbers of adults that could be used for laying enough eggs in an appropriately short time to enable robust embryo microinjection efforts. This is not necessarily easy. Certainly it was not in this case where artificial diets were unavailable and the immature stages of the insect are subterranean. “Greatest amongst our many challenges was development of a WCR rearing protocol suitable for transgenic research.” Chu et al. WCR embryos also proved considerably more challenging to successfully inject than those of Tribolium castaneum and Drosophila melanogaster, two species of insect this research group is comfortable transforming. High rates of mortality among non-injected control embryos, high sensitivity to the injection process, high sensitivity to fluorescent wavelengths used in screening and so on. Nonetheless, Chu et al. were successful in creating some 17 single insert lines of WCR with varying levels of piggyBac transpoase expression. All of these lines had to be derived from a handful of primary transgenic lines, almost all of which had multiple Minos integration events. So, while the functionality of the transposon systems being used here were not in doubt, solving the pre- and post-injection technical challenges proved to be the crux of this problem and this is undoubtedly a general truth since most of the genetic technologies now available are largely species independent. IGTRCN Technical Short Course - 2017 Apply Now! Only 24 seats.